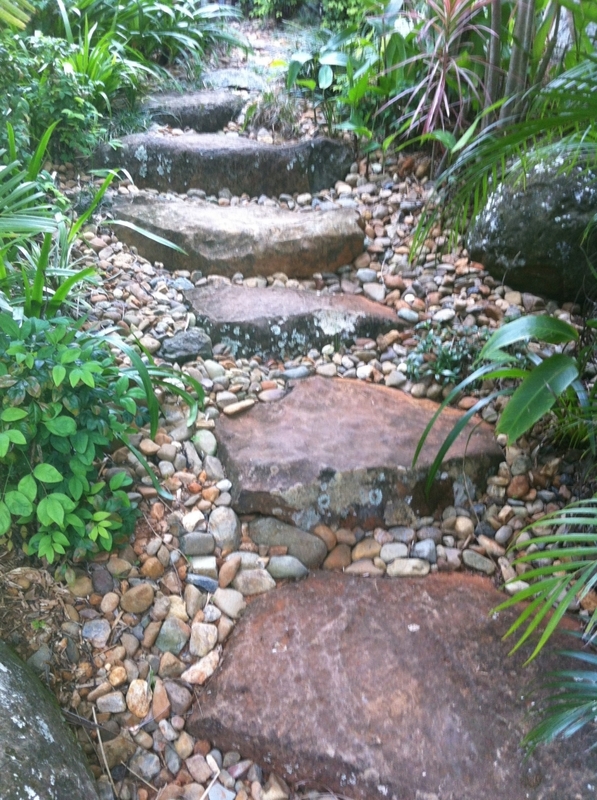 Garden Design, plants, beautiful landscapes and Feng Shui are just a few of the things Lyn Ruming is passionate about. Lyn has lived in Byron Shire on the north coast of NSW for more than 27 years and been designing gardens since 2003. She offers Landscape Garden Design and Feng Shui Consultations over a wide area that includes : Lismore, Ballina, Murwillumbah, Tweed Heads, Gold Coast, Brisbane and further afield by arrangement. She has a profile on Pinterest with a Garden Design Board to provide landscape ideas and garden related images to inspire you, as well as a Facebook page: ‘Simply Beautiful Spaces Australia’. A Garden Design Consultation can help with creating new gardens & courtyard areas or re-vamp a neglected garden. It can help create cohesion between house and garden as well as improving the street appeal of your property. Lyn specialises in finding a design that is uniquely yours and she has helped many people establish gardens that they love. Our sub tropical climate often favours the integration of house and garden so having a knowledge of Feng Shui can be a huge advantage in a landscape consultation. Increasingly clients are realising they can benefit in many ways from booking a Feng Shui Consultation or a Garden Design Consultation and sometimes even a blend of the two. Here are just a few examples of how Lyn’s Feng Shui Consultations have helped clients.